If you've read any of my posts in the last month, you might know I'm on a bit of a skincare kick at the moment. After two years of seeing skincare as a bit of a boring necessity, I'm now very much on board with learning about new products and discovering weird and wonderful ingredients that promise to work miracles for the skin. 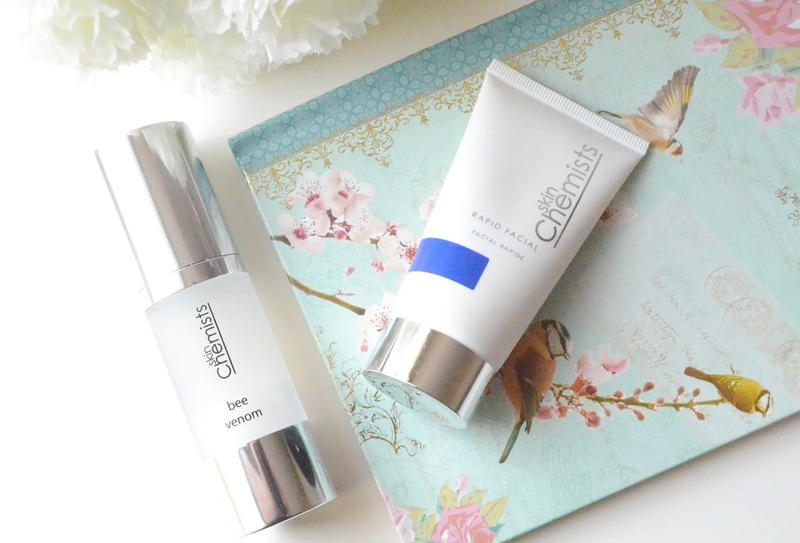 For the past couple of weeks I've been using these two products by Skin Chemists, and oh my they really are something to write home about! 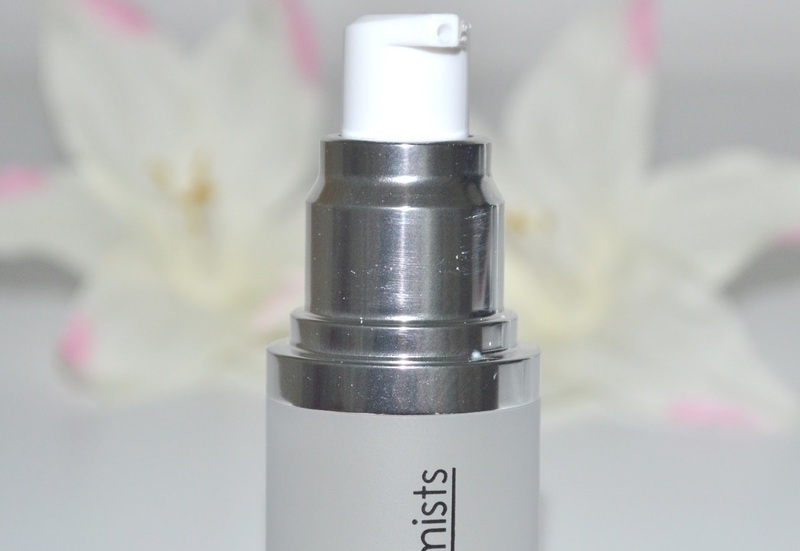 Skin Chemists are a high end skincare brand driven by interesting ingredients found in nature. And I'd agree, bee venom is a pretttty interesting natural ingredient! After trying Manuka Doctors Bee Venom mask and being sorely disappointed (I felt as though it did literally nothing to my skin) I was slightly skeptical about the whole 'bee venom hype'. However I've been reading up about the skincare benefits recently and wanted to give it another chance and I'm so glad I did- this stuff is actually amazing. Bee venom in skincare sounds absolutely crazy, but there are definitely some good claims as to why it's an effective ingredient. Bee venom (specifically honey bee venom) tricks the skin into thinking it's been lightly stung, which stimulates the skin and increases blood flow to that area. It also stimulates collagen and elastin production in the skin which is of course what keeps the skin supple and youthful. If you're still dubious, be aware that there's absolutely no pain involved here, I was expecting at least a bit of a stinging sensation but there's nothing at all- it's just a nice light serum that absorbs quickly and leaves no greasy film on the skin (light, easily absorbed skincare is especially nice this time of year!) The packaging is gorgeous and all in all it's just a wonder product, if I could afford to keep repurchasing this it would genuinely be a permanent fixture in my skincare routine. 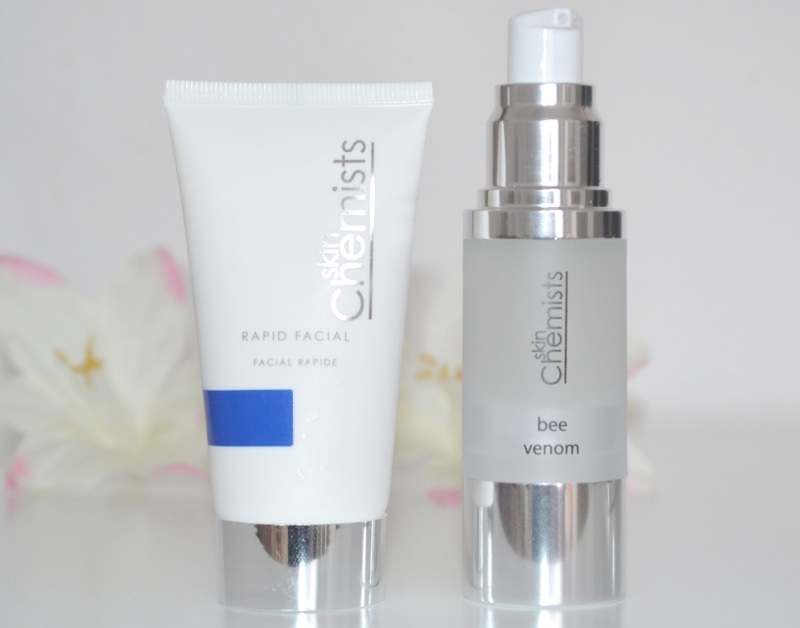 As if I wasn't impressed enough already with the Bee Venom Serum, I used this product the next day and was blown away. It feels like a regular old mask as you're applying it, but as soon as you rinse it off it's like you have a brand new face (sounds dramatic but that's how I felt!) My skin was left SO soft and smooth right from the first application, I'm having to really give my willpower a workout with this one where I want to apply it every day. I'm going to limit myself to using it once a week, and although the 50ml tube is fairly small you do get quite a lot of applications in it. It's a glycolic mask which breaks down the 'glue' which stick dead skin cells together on your face (which leave your skin looking dull and dry and clog your pores). Once these old cells are removed this skin is left looking brighter, glowing and hydrated and I can vouch for the fact that it definitely does all of that. Whatever Skin Chemists are putting in their products it works like magic. These products are extremely expensive at full price, however with the discount codes below you can save over £100 on each. Have you tried anything from Skin Chemists? I've heard of this, but I'm not sure of if/when I'll try it, mainly because I have literally a list of things that I need to try and write reviews for. Lol. 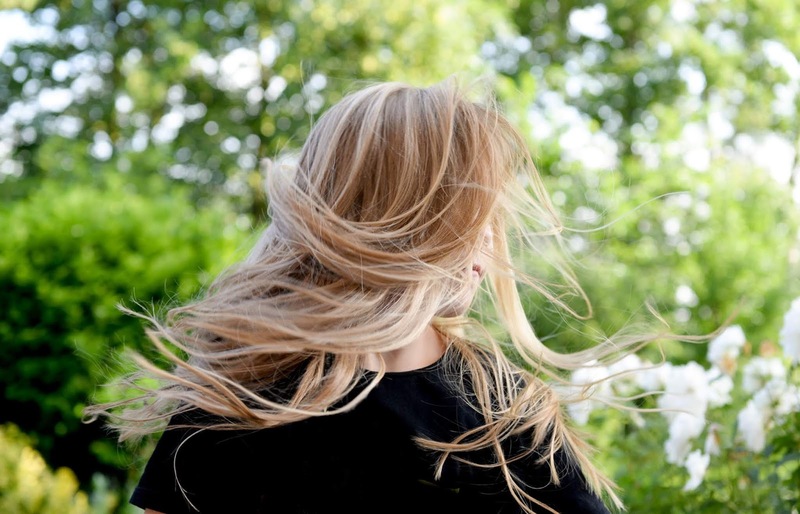 Wonderful Wigs- Would you Ever Wear a Hairpiece?